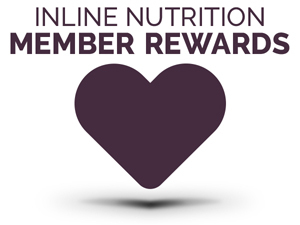 At INLINE Nutrition we are committed to respecting the privacy of visitors to our website. The guidelines below explain some of the steps we have taken to protect the privacy of visitors. At INLINE Nutrition we protect the identity of visitors to our site by limiting the collection of personal information. For certain promotions and to access certain features, we may request a voluntary submission of information such as name, e-mail address, city, state, and age. All personally identifying information collected through our website is used by us to process and manage subscriptions, track site usage patterns and statistics, or to deliver services through the site; such information may also be used by us for market research or for prize or information-request fulfillment unless otherwise indicated.